Article first published as Book Review: ‘Beneath the Bridge’ by Jason L. Henderson on Blogcritics. “Beneath the Bridge” by Jason L. Henderson, is a fast paced, suspenseful drama that centers around a young girl named Elle Jensen. When I first began to read this story I was a bit confused because it started with a girl named Kayla, who was looking forward to Halloween, and going on a date. We learned while bouncing around in Kayla’s thoughts that she very much missed her aunt, and was also grounded, so she had to be on good behavior to go on her date. When her best friend calls, Kayla’s thoughts are interrupted and she is whisked away into a mystery and a farewell. Turns out her best friend is none other than Elle Jensen, who is about to go on the run with her father to get away from her psychotic, junkie boyfriend. That’s when the author’s main-focus comes into view, as readers follow Elle and the people around her on an intriguing journey. We then watch her friendships form and bloom along this adventure. I believe that the author’s main purpose was to show how teens interact, and relationships bloom, all the while telling a scary story. I believe Henderson did a very good job at writing a story that had several different characters, interweaving their stories with one girl to bring them all back together. I liked the fact that as I was reading thinking the story is going to follow one path, it quickly goes another. I can’t say I have experienced being in Elle’s shoes as the new kid at school. I attended school in the same place as my friends from kindergarten to high school. College was a little different. I didn’t know any one, and you don’t see many of the same people throughout your semesters there. It’s scary/exciting because you can rewrite your persona each term. Thankfully my ex-boyfriends were never as psychotic and deadly as Elle’s ex-boyfriend Jimmy. I couldn’t imagine the fear of constantly looking over your shoulder. The only issue that occurred to me while reading is that while Elle and Jake were the main characters, it sometimes felt like Elle was a secondary character, as everyone else seemed to have a stronger voice than her. Other than that, I thought it was a great read! I think this book is best suited for teens and adults. Due to language, and some graphic violence depictions, it is not a good read for kids. 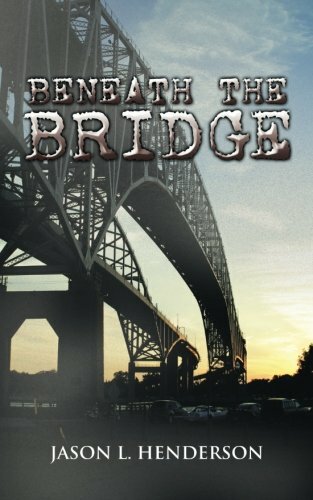 I recommend “Beneath the Bridge” by Jason L. Henderson to all that enjoy an exciting suspenseful story full of horror, drama, and twists. It will not disappoint!